There were special visitors in the school this month. 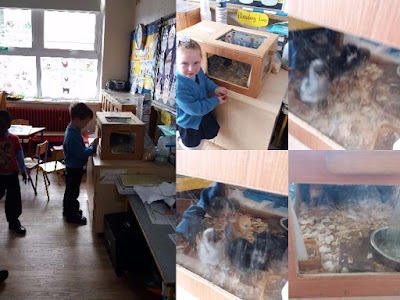 Ms. Hoban and her Senior Infants had seven chick to look after. 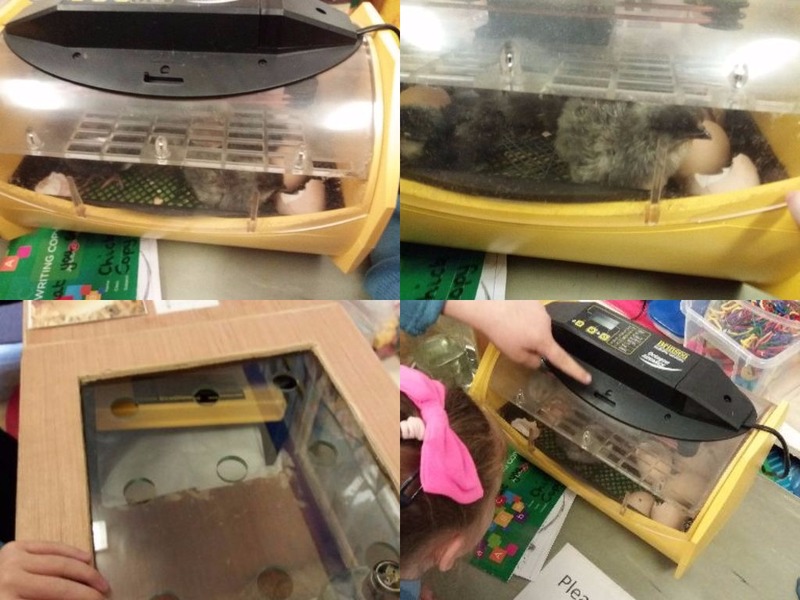 They arrived as eggs in an incubator and the boys and girls were very lucky to see them hatch. 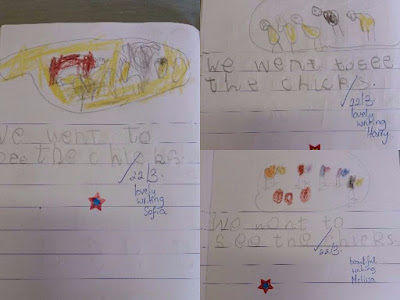 We were allowed to visit and see the chicks-we visited twice. 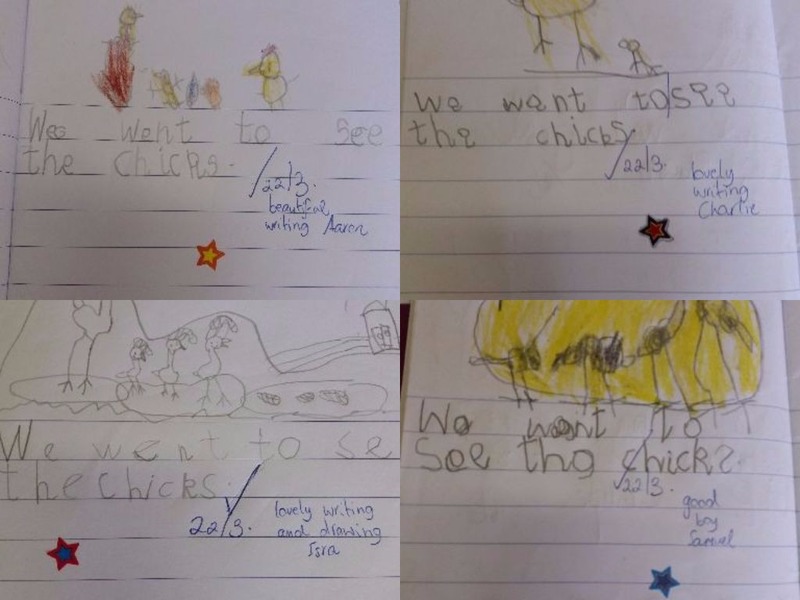 The first time we visited, two chicks had hatched and one egg had cracked. Both chicks were dark grey in colour and still in the incubator-they must be 24 hours in the incubator before being transferred into their pen or special box where they are fed and watered. We revisited the chicks a week later and were greeted by 7 of them-this time 6 were grey in colour and one was orange and yellow in tone. They had all been transferred into their pen at this stag. 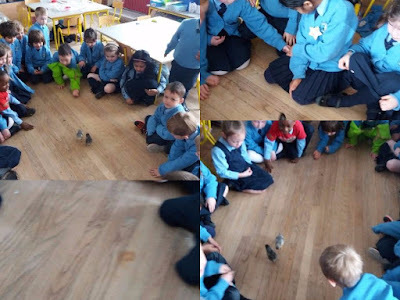 Teacher was very brave and took four chicks out for us to play with on the floor-it was very important that we sat in a circle and kept the chicks within the circle-one or two managed to sneak out!!!! 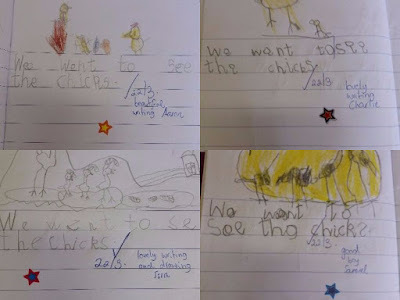 We wrote a sentence in our copies about our visit to the chicks.